R.StevieMoore sez: Have been in close touch with Terence Burrows UK since 1983-84, long-time London steviefan, shares my birthday, brilliant writer/musician, industrious indie-label man. His Hamster imprint issued my VERVE LP in 1985, and he used several of my tracks on compilation albums. His partner Alan Jenkins also became a big British stevie-supporter, releasing my (1952-19??) LP (1987) on his Cordelia label. Alan had a group called The Deep Freeze Mice. Terry, as well, recorded many projects under various names (Jung Analysts, Yukio Yung). They united to create THE CHRYSANTHEMUMS, putting out a handful of very incredible records for 10 years. RSM appears on several of them. 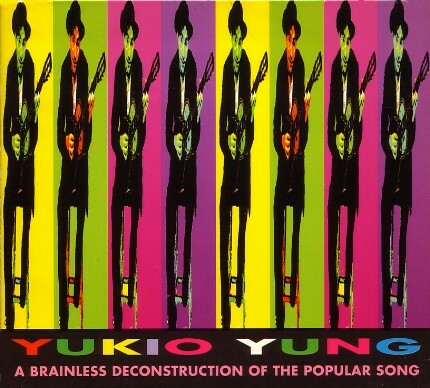 Then in the Nineties, the Yukio Yung tour-de-force disc "A BRAINLESS DECONSTRUCTION OF THE POPULAR SONG" (Mermaid Records-Germany 1993) was dedicated solely to R. Stevie Moore. Following that, RSM and Yukio intensely mail-collaborated on the highly acclaimed JarMusic 3" CD-EP venture, OBJECTIVITY (1997), featuring legendary Camel drummer Andy Ward, and including their hit tune with Krystyna Olsiewicz, "Where We Are Right Now" (the LOUDEST R. Stevie Moore track ever made). Rumours are flying, about the next millennium and if & how Burrows can take RSM and the Chrysanthemums into the musical future. Stay tuned. Is That A Fish On Your Shoulder (or are you just pleased to see me)? ALL MUSIC GUIDE: YUKIO YUNG is the pseudonym of TERRY BURROWS, a London-based singer / songwriter / multi-instrumentalist with an apparently limitless appetite for both pseudonyms and side projects. Aside from his best-known alias, which he first used in the mid-'80s as one third of the psych-pop Chrysanthemums, Burrows has released instrumental prog rock as Push-Button Pleasure, acid house dance mixes as YooKo, and free-jazz-influenced pop-art experiments as the Jung Analysts. To top it all off, Burrows has released albums of avant-garde minimalism under his own name. All of this is in addition to his day job as a prolific author of computer manuals and music instruction books. 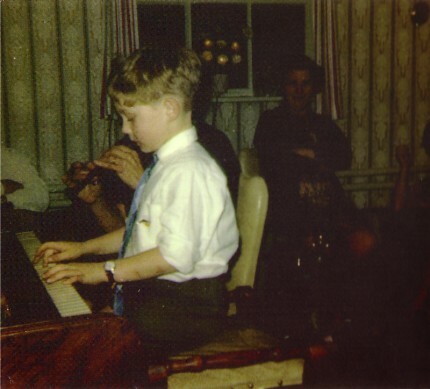 Born in Ipswich, England, on January 18, 1963, Burrows taught himself guitar, bass, drums, and saxophone as a teenager, in addition to pursuing a classical education on piano that had begun at the age of five. Although influenced by punk, it was more the anti-record industry D.I.Y. ethos that attracted him than the music. 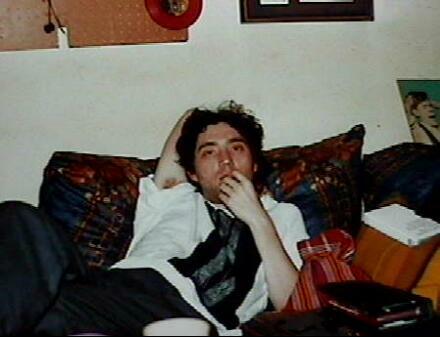 Burrows' influences included Syd Barrett, the Kinks, the Who, and the entire Canterbury progressive music scene that centered around the Soft Machine and its various offshoots, along with other '60s-influenced post-punks like XTC and the Television Personalities. By the mid-'80s, Burrows had started his own indie label, Hamster Records, releasing albums by his first band, the Jung Analysts, and similarly non-commercial artists. 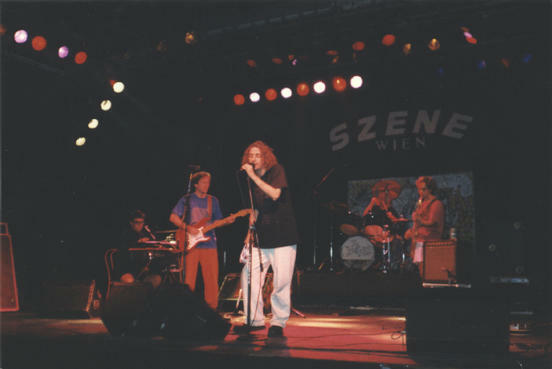 A chance meeting with singer/guitarist Alan Jenkins, whose psych-pop cult band the Deep Freeze Mice had just broken up, led to the formation of the Chrysanthemums, for whom Burrows was lead singer and keyboardist between 1986 and 1991; the band name, like Burrows' newly adopted stage name of Yukio Yung, came about as part of his fascination with Japanese culture. Burrows released three albums and four EPs as co-leader of the Chrysanthemums before the band's original lineup splintered in 1991. Retaining the name Yukio Yung, he released his first solo album, Tree-Climbing Goats, in 1992. A follow-up vinyl-only LP, Art Pop Stupidity, followed in 1993, with a CD of entirely new material, A Brainless Deconstruction of the Popular Song, appearing later in the year. The Jeff Lynne EP, a 7" tribute to one of Burrows' personal heroes recorded during the Art Pop Stupidity sessions, was released in 1994, followed by the single "Keep the Black Flag Flying." The B-side of that single, "Reservoir Girls (Yukio's Dream #6)," is an inspired oddity featuring Burrows recreating the opening scene of Quentin Tarantino's Reservoir Dogs in a variety of computer-altered voices, with some parts sung in an operatic voice to fragments of classical music, before swinging into a dead-on cover of Ray, Goodman and Brown's slick '70s soul classic "Girls." Burrows' next releases as Yukio Yung were a related pair of 10" EPs on the German Pink Lemon label, Goodbye Pork-Pie Brain and Hello Pulsing Vein. These discs found Burrows progressing into a more pop-friendly direction, although Goodbye Pork-Pie Brain did include the Can-like 15-minute drone-song "Yuri Gagarin." Four remixed songs from these EPs were released as the almost Brit-poppy CD EP (Mostly) Water. As Yung, Burrows also collaborated with R. Stevie Moore on the seven-song CD EP Objectivity in 1995, each covering one of the other's songs besides co-writing four others; the EP also includes Yung's lovely version of Robert Wyatt's "God Song." 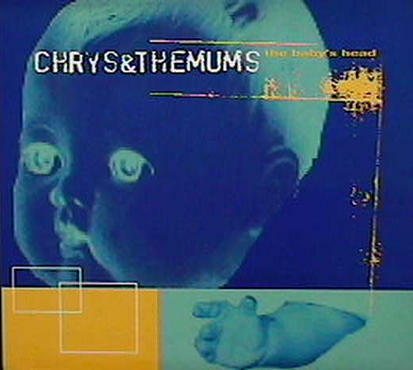 In 1996, Burrows rejoined with his ex-Chrysanthemums bandmate Martin Howells to form a new version of that group, re-christened with the cute visual pun Chrys&themums to differentiate it from the Jenkins lineup. "You led a life devoid of color, except for mauve of course"
I try to equip you, in these columns, with a long and variegated list of records to look for when you're searching the CDNow catalog or the used record store. But I do hope you understand that recommendations can't be something you just insist on having. If you see a CD that is, for example, filled with songs called "the Cheeping Of The Robot Bees" and "God and the Dave Clark Five" and "the Overseer On the Indigo Farm" and "I Am A Hen (Lucinda Lambton)" and "Irreversible Syntax Error" and "Light Transforms the Peugeot Dealers" and "Totally Unacceptable (Full Of Holes)" and "Love Is For the Astronauts" and "Oh Dear What Shall We Do About the Christians" (to choose among 27 titles), and if, for example, it _has_ 27 songs, and if, for example, it devotes its liner notes to a fully Hitchhiker's Guide To The Galaxy-worthy explanation of the "concept" linking the 27 songs, and especially if, for example, you happen to learn that the band's previous record is called IS THAT A FISH ON YOUR SHOULDER OR ARE YOU JUST HAPPY TO SEE ME?--- well I don't care if you'd heard of the album, it _is_ worth $12. But I had to keep saying "for example" because this here Chrysanthemums album is all of that, and now you _have_ heard of it, and if you have any taste for mildly psychedelicized Britpop, oh boy do you need this. And since all the last copies have been sold, and the songwriter (Terry Burrows) refuses to let any more be made, I suppose the only decent thing for me to do is let you write to me and try to negotiate for dub copies and Xeroxed notes, even though Ira Robbins in his Trouser Press Guides (which don't mention the Chrysanthemums) doesn't offer that service. Anyway, LITTLE FLECKS, 70+ minutes of unceasing melody, calls to mind the best Beatles, if you accent their "Being For The Benefit Of Mr. Kite"/ "When I'm 64" music-hall influence. It calls to mind early Kinks and Martin Newell and Captain Sensible. It calls XTC's whimsical alter-egos The Dukes Of Stratosphear to mind and brings them tea and unfolds lounge-chairs so they'll stay there for the duration. It shows you exactly what '89-to-present Television Personalities would've sounded like if their leader Daniel Treacy hadn't been watching his life fall apart because he was too busy switching between "Yes Prime Minister", "the X-Files", and badly dubbed Portuguese versions of "Masterpiece Theater". My guess is that all of these resemblances are accidental, and that _really_ LITTLE FLECKS is the legendary lost double-album where Monty Python celebrated Spiro Agnew's resignation by remaking their (extremely) advance copy of Blur's PARKLIFE. Or so it seemed to me several listens ago. Actually it's weirder than that. My own tendency is to focus immediately on moments of pop perfection: the infatuation classic "I Am a Hen", a full match for the ebullience of Too Much Joy's "Crush Story"; or the Sesame Street bounce of "The Deathbed Song"; or the giddy-up percussiveness and amiably lunatic harmonies of "They Must Have Made It With Their Hats" and "Er"; or the call-and-response chorus of "Climb Aboard The Groove Tractor (Pencils)", where the sudden a capella-ness of the "Wilson death by zebra fury" bits only seems wrong on analysis; or the lilting "...Astronauts", where the soft, wondering solemnity of "A mode of thought prevailed in 1992/ when Nostrodamus's predictions all came true/ it's quite uncanny how that clever bugger knew/ we'd be invaded by giant hedgehog-like beings from another world/ whose internal organs looked like sets of traffic lights...." leads naturally into a chorus that is psychedelic only in the Beatles-patented, Flintstone Chewable LSD Tablet fashion. In such context, it's easy to let the less catchy songs waft by in the assumption that they are pleasant, but lesser. Instead, every listen makes it clearer why the credits list extends to saxophone, orchestral and brass arrangements, "regurgitations", "tapes", and "ukelele". "God..." stars an impossibly perky "La! La, la-la la-la" chorus and off-kilter guitar, but breaks twice into brief 3/4 carnival bridges before a complete extended circus-spook breakdown with vocal harmonies suggesting the band Yes after a name change to Aarghaarghpleaseno. "Irreversible..."'s melody keeps breaking into spy-movie fear notes. The reggae song "Double 'O' Gauge Dogs" breaks into a classical-piano and strings fury that the Wicked Witch Of The West could use as theme music next time she's on a Tschaikovsky kick. The piano solo on the melancholy "Last Great Dogfight" is jazz, though, and "Totally..." does a quick but effective Ray Manzarek (Doors) imitation. "The Burning Fascia" starts with beast-arising-from-the-furnace sounds (RSM's Tapes) before slipping into absurdly syncopated 7/8 cheer (with the cautionary motto "If Joan Of Arc had smelled something burning, she really ought to have worn asbestos"). Etectera. At worst, this ambition is harmless: it doesn't race out and conquer the whole disc, it doesn't even want your half. It merely aids the splendid tunefulness that's already there. The one problem with most pop music is that eventually it becomes too comprehensible and automatic: it is called Bubblegum Music on the premise that the flavor wears out one day. If there's a way to design everlasting gobstoppers, though, the Chrysanthemums' method on FLECKS was probably the one to try. The Chrysanthemums' second album is a two-record parody of such overblown progressive rock concept albums as Yes' Tales of Topographic Oceans and Jethro Tull's Thick as a Brick. 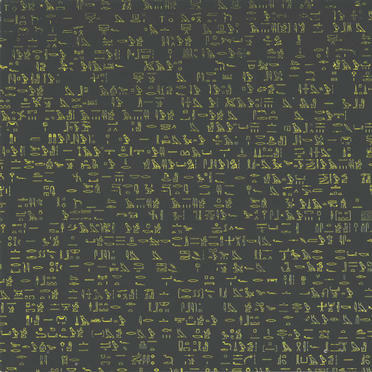 Housed in a gold-on-black sleeve-covered front, back and spine with fake hieroglyphics, the double album comes with a lengthy sleeve note written by guitarist Alan Jenkins explaining the album's inspiration and detailing the complicated story the 27 songs purport to tell. The Pythonesque story has something to do with giant eggplants from outer space and a time-traveling World War II bi-plane. The songs, of course, are entirely unconnected, both to the concept and to each other. Ranging in length from 27 seconds to just over seven minutes, these songs are simultaneously instantly catchy and deeply strange. Jenkins and singer/keyboardist Terry Burrows have a knack for psych-influenced pop songs that wouldn't sound out of place on Carnaby Street-era Kinks and Who records, but their lyrics are a weird mix of Bonzo Dog Band-style humor, bizarre imagery, and throwaway references to pop culture figures from soul legend Harold Melvin to U.K. television personality Lucinda Lambton. The five-minute "God and the Dave Clark Five" embodies the eclectic spirit of the album in microcosm, moving from a bouncy freakbeat verse to a middle section of Krautrocky drones and chants, ending up with a Hendrix-like noise guitar solo by way of a direct quote from the Monkees' theme song. Elsewhere, "(They Must Have Made It With Their) Hats" marries a circa-1966 Beatles melody with backing vocals that substitute random three-syllable words (aubergine, Reginald, mandolin, etc.) for the expected "la-la-las," and "Light Transforms the Peugeot Dealers" mixes ukulele and sampled horns manipulated to sound like steam escaping from some huge forbidding machine. The stylistic shifts make sense as a whole, and the album is dense and melodic enough to stand up to repeated listens. Headphones are recommended to capture the subtleties of the rather muddy homemade production, however. 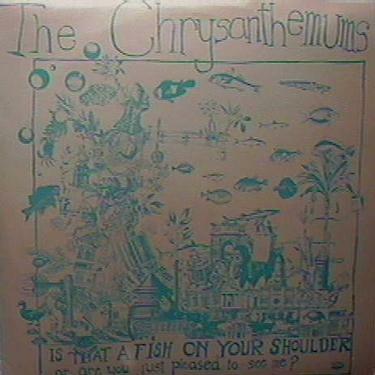 Somewhere in the course of several albums I don't own and will probably never get a chance to, the Chysanthemums made a clever visual pun of their name to mark two major changes. Alan Jenkins, the co-songwriter who wrote FLECKS' liner notes, left and formed a band called Ruth's Refrigerator, who you should please mention to me if you ever see anything by. Then Terry Burrows, the other songwriter (who also releases albums under the name Yukio Yung), started mixing the albums at home using only keyboard, sampler, and sequencer. Jenkins escaped with most of the silliness, the song title "Founding My Religion" notwithstanding. "Like Billy Ocean Said" takes on the subject of human memory: "We hang on every thought so nothing goes to waste/ creating recollections edited to out own taste/ We studied everything inside until we thought it black and white". "Founding..." is at least partly about what its title says, observing a boy who "Took a bag of nails and a box of wood/ he put the hammer down and saw that it was good/ then he got inside, and he wouldn't leave til he'd moved his head  to the other side". The song's cynicism (the kid seems to have gotten himself in plenty of trouble on this side, and "as the smiling stops from inside the box, it occurs to me/ that he might as well be a devil child from the cemetary") also extends to the romantic analyses ("She'll give you anything, but Not That Much"), and the twaeking of the upper class ("Quality Street" is how XTC's "Respectable Street" might have turned out written in their voluntarily toothless latter days, though it still musters a good beer-commercial guitar riff). The exceptionally pretty "We've Gone Too Far" sees things as curable, though: maybe the problem is that "some of us don't know who we are". It's much more affecting when sung, of course, although I can't help wishing he still knew he was the guy who sang about hygrometers. However, the result of an all-keyboard album are much more surprising: Burrows was using enough prime samples of his bandmates a continent away that THE BABY'S HEAD is one of the finest guitar records in the Britpop genre. Each of the first three songs includes some of the firiest 6-string soloing you're ever likely to run across, a fair variety of guitar and drum-smashing propulsion goes on throughout the record, "The Test Tone Five" is a decent surf instrumental, and that darn "Quality Street" riff is showing no signs of leaving my head anytime soon. The melodies remain vibrant, the harmonies still look to the Beatles for guidance, and the arrangements still leave room for colour. "The Things Around The Picture", a song so entirely catchy that I refuse to stop and decode what it's about (other than "Doot doot doot doot doot-doot doot, the things around the picture! "), plays its verses like a mildly Prozacked outtake from Nine Inch Nails' PRETTY HATE MACHINE before going euphoric. "Billy Ocean..." has a string section. "Quality Street" feautures bells and something that is probably too lush to be a harp, but same concept. "1000 Tiny Pieces" has a Cars-like bassline and harmonies with the perverse flair of uncoordinated narcoleptics. A psychedelic effect, but not nearly as much so as the space-out closer, "Never Knowingly Understood". Still, it's clearly a pop album, voice and guitar and bass and drums (or samples thereof), essentially non-deranged. Some people, of course, think "non-deranged" is a compliment. And since you can actually buy this one for $12 from Flamingo Records--- contact Stewart Mason, flamingo@rt66.com --- wouldn't it be cool if you're of those?